If anything makes me nostalgic for the part of my childhood in the UK, it’s the mere thought of a Double Decker Bar. 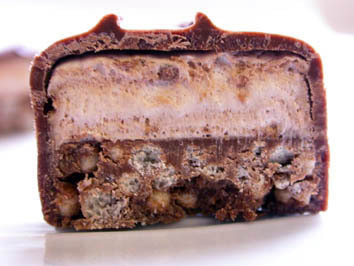 Cadbury has made incursions into the US sweets market, but as of late, it’s only been the large fruit-and-nut or other varieties of square segmented chocolate. So, the real treats, like the Double Decker, or The Flake, have largely remained in Great Britain, off limits to Americans.